Compatible with Canon Super 8mm movie cameras that have an electronic shutter release port such as the Canon 814 Auto Zoom Electronic, Canon 512 XL, 814 XL and 1014 electronic Auto Zoom. Just plug it into the single frame plunger hole, that's all. 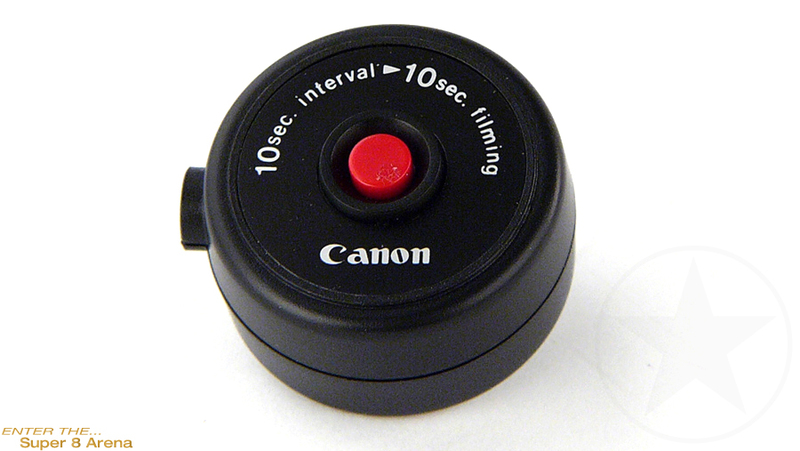 The timer itself is really small and light and sends a pulse to activate the shutter. Unmanned photography can be performed, while maintainig the camera in running lock (RL) condition. You can join the scene you shoot for example.